ore than 1,000 joined meetings with international guests from Kenya, Middle East and Korea on World School Network\’s events. 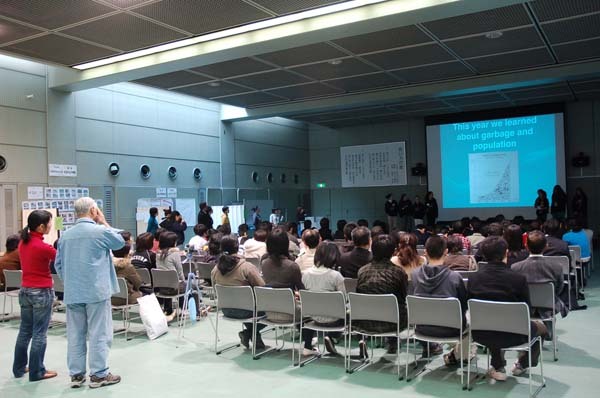 A presentation session at the auditorium of International Plaza of JICA, Japan International Cooperation Agency. A series of international events of World School Network, a project of Non Profit Organization ECOPLUS, was held in Tokyo and Niigata, Japan from 10th to 14th February 2007. A series of international events of World School Network, a project of Non Profit Organization ECOPLUS, was held in Tokyo and Niigata, Japan from 10th to 14th February 2007 inviting 23 international guests from 4 countries. 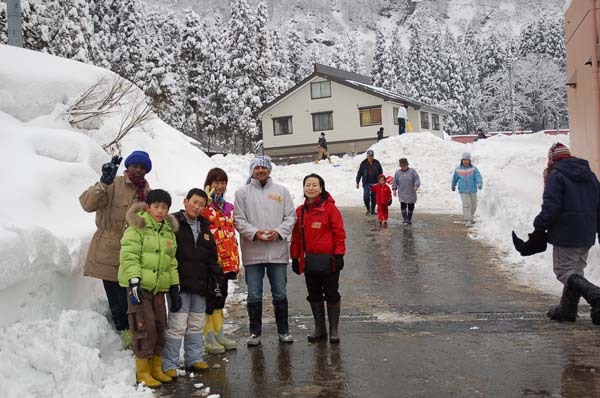 In Tochikubo village in Niigata, international participants experienced Japanese traditional ways of life in deep snow. In addition to presentation sessions and workshops, international guests visited schools and other places in Tokyo metropolitan area and shared their experiences with more than 1,000 students, educators and citizens. Students and educators from Kenya, Palestine, Israel and Korea joined the presentation session and workshop held in Tokyo with Japanese participants. International guests moved to a mountainous village called Tochikubo in Minamiuonuma city, Niigata and learned Japanese traditional life which has been keeping harmonious relation with their environment for hundreds years. At World School Network, several joint projects related on environment are going on, connecting students in the world from more than 10 countries and encouraging students to re-focus on their own area. This series were supported by Japan foundation and Nippon Koa Insurance company. For these events, a lot of paper works, coordinations, telephone calls, fax exchanges and others were needed for acceptance of international guests because of financial and political situations specially in Kenya and Middle East. One of two students invited from Palestine were not able to pass the border to Jordan by very bureaucratic reasons and a mother of only one student who successfully visited Japan needed to stay in Jordan until her son came back from Japan for ten days by strange regulations. Various activities at the events are available at following URL.